The best part about this gift? It’s easy, inexpensive, and can be personalized for anyone on your gift list. This would be a great gift for a teacher, grandparent, co-worker, etc. 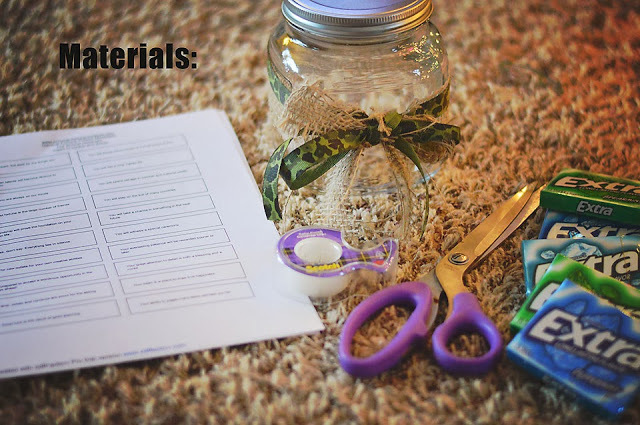 I purchased all of my materials at Walmart but you can certainly use whatever you have around the house or look around for your own special container if you’d like. My total for everything was under $15! I found printable sheets of fortunes online here. You could also make your own and customize them depending on who you are giving them to! 1. Decorate the jar; since I’m giving it to my husband, I kept it simple but you could have children decorate it, add stickers, glitter, lettering, etc. 2. 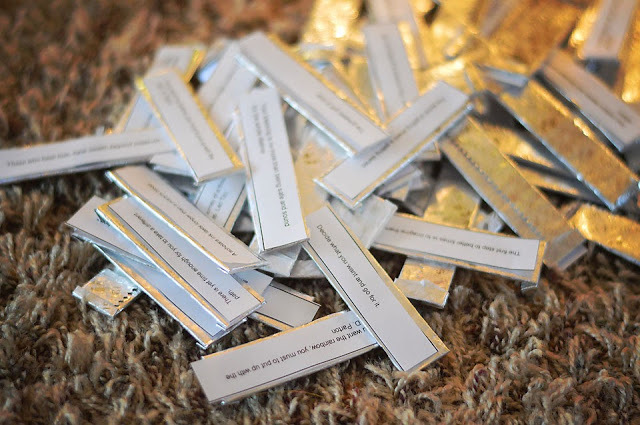 Cut out the fortunes and tape them onto the sticks of gum. 3. 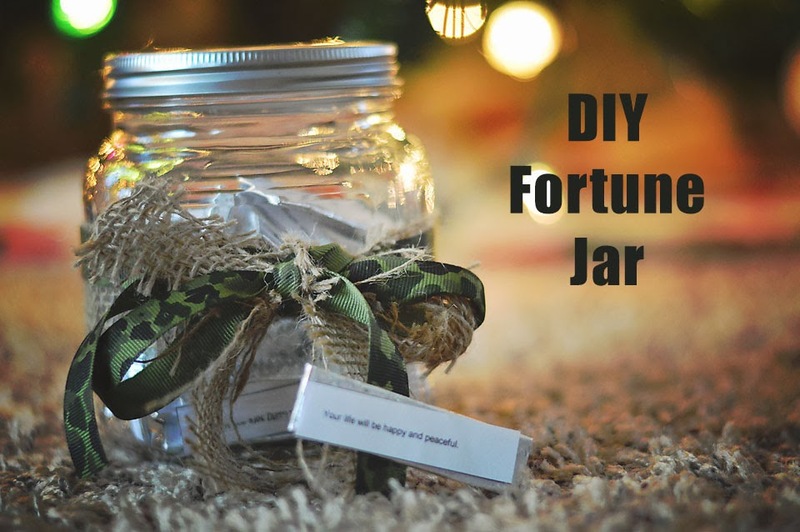 Add the fortunes into the jar. THAT’S IT! Seriously, how easy is that?! I love the simplicity of this but also the ability to get super creative. 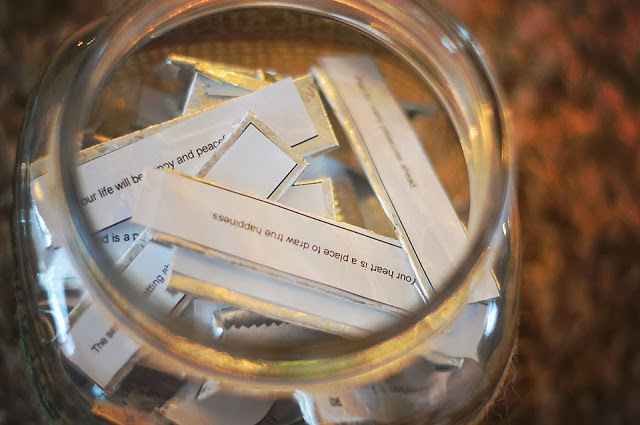 You could add Bible verses, change the candy from time to time, use movie quotes, etc. I know my husband will love this and it’s something unique that I didn’t purchase in the store. 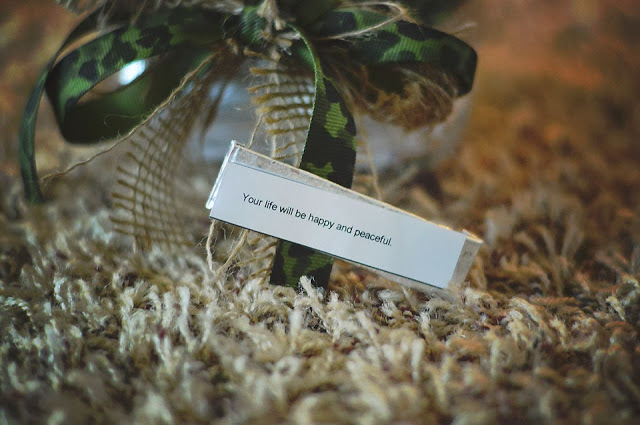 Why not give a gift that will remind the recipient of you every morning, as well as start their day on a positive note! « Buddy the Elf, what’s your favorite Christmas movie?